Almost a decade since Dragon Ball Z: Budokai Tenkaichi 3 was released, we now know the answer to an age old question, originally poised by Nappa, of whether the big, burly, bald fighter’s goatee would grow if he went Super Saiyan. The answer, of course, is yes. 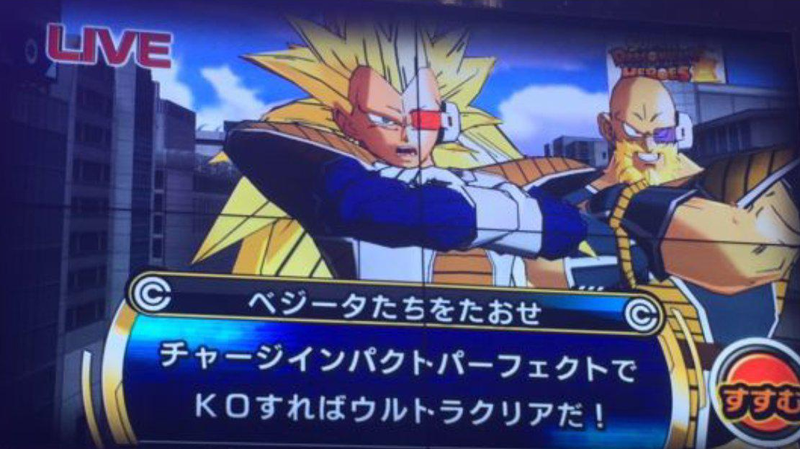 The revelation comes by way of Twitter user MrTrikey who shared a picture of the Saiyan complete with a bushy, gold beard. The image comes from Super Dragon Ball Heroes, an arcade game released in Japan earlier this fall. The seventh Dragon Ball Z: Data Carddass game, Super lets players insert cards of specific characters with particular transformations linked to them that can then be used to fight inside the game. The Dragon Ball series has always been about spending inordinate amounts of time powering up to reach new plateaus of martial arts ability and enlightenment, so it makes perfect sense that Super Dragon Ball Heroes would focus on letting people earn transformations for their favorite characters through a collectible card system. For instance, while the game lets Nappa go super Saiyan, and grow out his beard as a result, it also let’s Bardock, Goku’s father who died horribly long before the first episode of Dragon Ball even takes place, go Super Saiyan 3 as well. But fans of the show and games have been particularly concerned about Nappa’s hair situation for some time. Posts on Reddit and elsewhere asking what would happen to Nappa’s hair, or lack there of, if he went Super Saiyan, are an annual event at this point. Traditionally, characters’ hair goes blond and their eyes turn green when they transform, but since Nappa’s bald, well, understandably conspiracy theories and theoretical visualizations have sprung up to try and answer the apparent paradox. 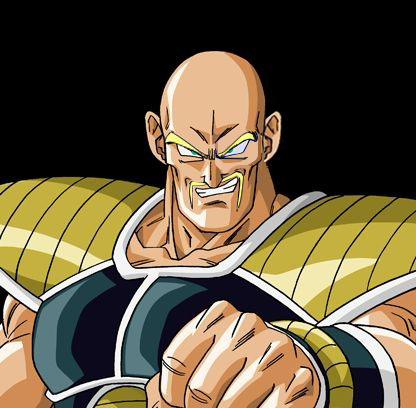 Of course, Nappa wasn’t always bald. In Bardock: Father of Goku, a younger version of Vegeta’s warrior nanny can be seen with a nice, dark tuft of hair sitting atop his tall dome. But similar to how saiyans lose the ability to transform into giant apes when their tails are removed, it wasn’t absurd to wonder if cutting off the a saiyan’s hair would have the same effect for the alien race’s other favorite transformation. But thanks to what we’ve discovered in Super Dragon Ball Heroes, which I’m sure is 100% canon, it appears the answer is no.